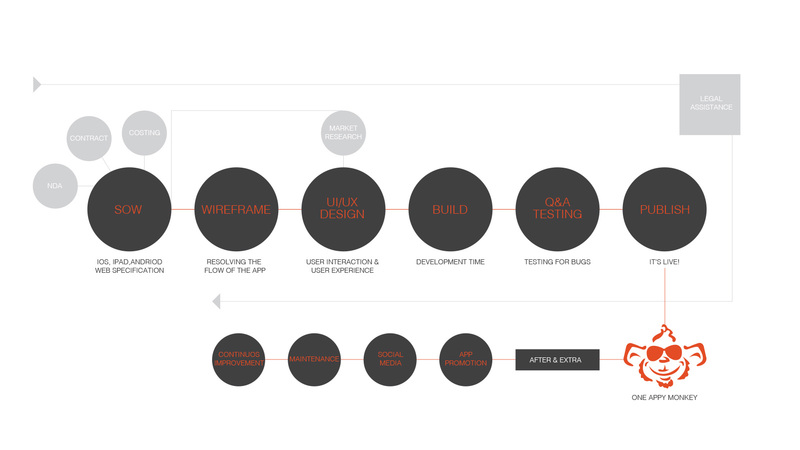 Here you can see the over view of the steps we go through to ensure that your App project has had all the necessary consideration it needs to be produced. We take care of everything right from when you sign the non disclosure agreement until you app is live and being maintained. With our App Development process we will lead you by the hand to show you exactly what to do.